Simone Zanchini is an accordion virtuoso from Rimini, Italy. 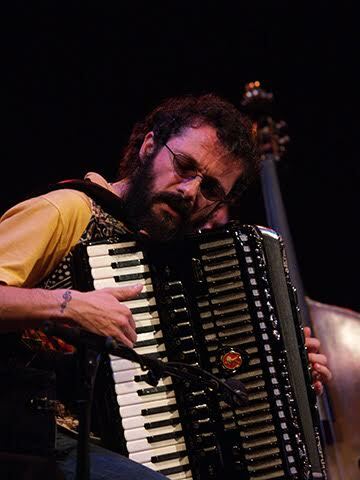 Aside from musical performances and reasearch, Zanchini leads also accordion’s workshops and collective impro. In 2006 he published Be-bop Buffet (Wide Sound) a duet with Frank Marocco, a model of the Bebop language expressed with the accordion. In 2009 Better Alone…! (Silta Records) a solo project where prove all tone colours of his instrument through the use of a particular midi accordion, live electronics and laptop, in the same year he published also Fuga per Art Jazz 5et (DodiciLune Records), the unique tribute work of Zanchini, a tribute to his great Master and one of the greatest exponents of the jazz accordion: Art Van Damme. In May 2012 has been released the latest Zanchini project: MY ACCORDION’S CONCEPT (Silta Records) a project built up on radical improvisation with the acoustic accordion and live electronics, a brave attempt to subvert the common code of expression through the accordion. In December 2012 he recorded a new album with the ZZ Quartet (Zjaca, Zanchini, Nussbaum, Gjakonovski). “Life on Earth” – Ratko Zjaca with Antonio Sanchez, Stefano Bedetti and Renato Chicco. 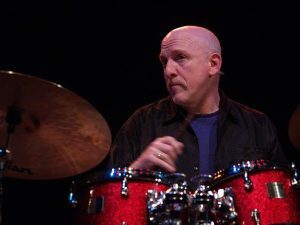 His exceptional experience of time and style, combined with astounding improvisational ingenuity, make him one of the world most highly regarded and in-demand drummers. Adam grew up in Norwalk, Connecticut and started to play drums at age 12 after studying piano for 5 years, also playing bass and saxophone as a teenager. He moved to New York City in 1975 to attend The Davis Center for Performing Arts at City College. While there he began working with Albert Dailey, Monty Waters, Joe Lee Wilson, Sheila Jordan and he played with Sonny Rollins in 1977 in Milwaukee. In 1978 he joined Dave Liebman’s quintet and did his first European tour with John Scofield. 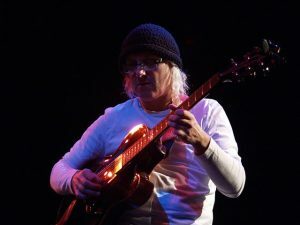 During the early eighties he continued working with John Scofield in a celebrated trio with Steve Swallow. In 1983 he became a member of Gil Evans Orchestra and he played with Stan Getz as well. He later joined Eliane Elias/Randy Brecker Quartet, Gary Burton, and Toots Thielemans. In 1987 he began touring with the Michael Brecker Quintet. In 1988 they recorded the Grammy winning “Don’t Try This At Home”. During 1992 he was part of the Carla Bley Big Band and that same year John Abercrombie hired him to complete his organ trio with Dan Wall. Since then he’s keeping active in a wide variety of groups. Among them a recently formed quartet ‘B A N N’ with Seamus Blake, Jay Anderson & Oz Noy, A co-op quartet ‘NUTTREE’ with Abercrombie, Jerry Bergonzi & Gary Versace, (a new CD with this group is coming out on the Kind of Blue label), ‘We Three’ with Dave Liebman & Steve Swallow, Eliane Elias Trio, The James Moody Quartet, and also busy maintaining an active freelance schedule. Adam has taught as an Adjunct professor at New York University, the New School and State University of New York at Purchase. He’s also doing clinics and master classes around the world. Born in Skopje, Macedonia in a family of jazz musicians. His father was the founder and conducter of the macedonian Jazz Radio Big Band and his mother a jazz vocalist. 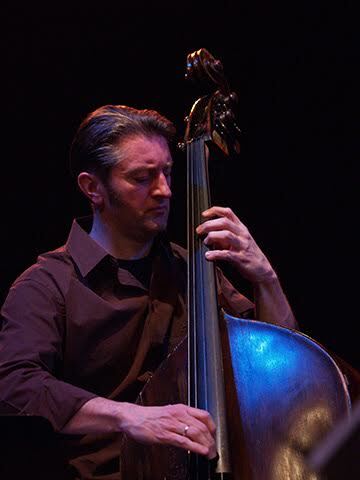 Martin started playing classical double-bass at the age of 14, but soon his passion for jazz awoke and resulted with the founding of his first band, Trio Spato. The opening door to the international jazz scene was a jazz workshop with the Coltrane bassplayer Reggie Workman in Groznjan, Croatia (1990). In 1991 he moved to Cologne, Germany studying jazz bass at the Music Academy of Cologne. He also learned from other great bassplayers such as Arild Andersen, John Clayton, Mike Richmond and Eddie Gomez. In the coming years he became one of the busiest and most versatile bassists in Germany playing with such musicians as: Dusko Goykovich, Paul Shigihara, Ferenc Snetberger, David Friedman, Lee Konitz, Atilla Zoller, Don Friedman, Pete Yellin, Matt Wilson, Tony Lakatos, Ingrid Jensen, Andy Middleton, Kenny Wheeler, Kenny Werner, Charlie Mariano, Greg Hopkins, Don Menza etc. In the last 10 years he worked and is still playing with Michael Sagmeister Trio, Dusko Goykovich Quintet, Nicolas Simion Group, Antonio Faraò Trio (feat. Bob Berg, Sonny Fortune, Rick Margitza, Gene Jackson), Lynne Arriale Trio (feat. Benny Golson, Steve Davis), Paul Kuhn Trio (feat. Toots Thielemans, Ack Van Rooyen, Jiggs Whigham), Bojan Z Expatriots, Paul Shigihara Group (feat. 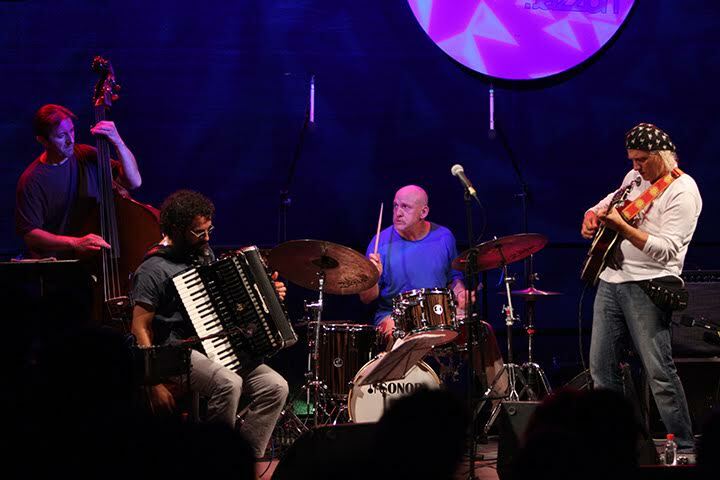 Mokhtar Samba), Frankfurt Jazz Trio and many others. He has recorded more than 100 jazz and world music CDs.